This is our Happy Cats Guide eBook chapter 9 of 12. Click here to see all chapters. While most of the recommendations and ideas in this book are for cats of all life stages, we do need to take into consideration the different needs of kittens and older cats. Both kittens and mature cats typically require certain alterations to the layout of your home to make it the ideal indoor space for their stage in life. As such, litter boxes, beds, and toys need to be more individualized to these stages, as follows. 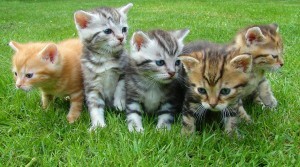 Kittens and young cats generally require more play and enrichment than adult and geriatric cats. It is important to have plenty of games you can play with them, as well as interactive toys to keep them entertained when you aren’t at home. As has been mentioned earlier in this book, be very careful with toys that have long pieces of string, feathers, or small objects your kitten could potentially chew off and swallow. These can cause a gut obstruction if they are swallowed, and these scenarios aren’t uncommon in young cats. Catnip mice, and objects that can be used in chasing games are ideal. Because of their inquisitive nature, kittens often keep themselves entertained with the right toys, so objects like a ball with a bell in it, or a life-like mouse are often as complex as you need to go! 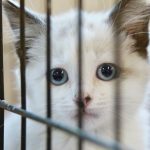 Because litter box training can take time, and because destructive behavior isn’t uncommon at this young age, it is best to confine kittens to one area of your home when you can’t supervise them. This might be a bathroom or laundry room with the kitten’s litter box, bed, toys and food and water bowls in it. Keeping this room as your kitten’s ‘safe place’ for the first month or two until they are toilet trained and comfortable in your home is the best idea. This sequestering is especially helpful if you are introducing a kitten to other pets in your home. Following this initial time period, you can set up a bed and safe place in a more appropriate room as a long-term option. Keep the safe place at a low level, however, so your kitten can get to it comfortably. As kittens can vary in size depending on their breed and age, it is best to stick with a shallow litter tray that is easy for your kitten to get in to. High-sided litter trays are a common cause of inappropriate toileting for kittens. Be sure to clean up any inappropriate peeing or pooping with a non ammonia based product, follow this up with a pet odor neutralizer, and then feed your kitten on this spot to help prevent this from occurring again. Make sure the food and water bowls are well away from the litter tray, and ideally in different rooms if possible once the sequestering period is over. Make sure that you spend time with your kitten every day. Have fun and play with them, brush and groom them, and carefully trim their nails in a non-stressful manner. Introducing grooming and nail trimming at this age will stand you in good stead to continue these healthy habits into their adulthood! 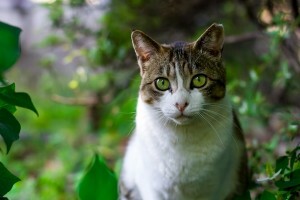 Older cats are very prone to arthritis in their front and back legs, particularly in the carpus (wrist), elbow, stifles (knees) and hocks (ankles). As such, when setting up your home up for these cats high vantage points are often too difficult to reach. Occasionally even stairs can be an issue for older cats. Modifying a safe space for an older cat is not invasive and will make your cat’s life that much more enjoyable. 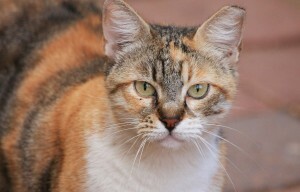 In fact, you may have a young or adult cat that has a joint issue or arthritis, in which case these points also apply. Toys and games are still very relevant for enrichment for older cats; however try to make these more stationary. 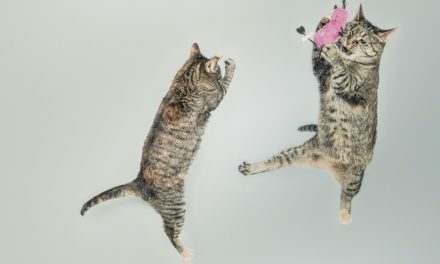 Avoid the high-energy chase games, and instead encourage toys that will keep your cat busy without having to dash around too much. Treat balls are a good option, as are catnip toys. 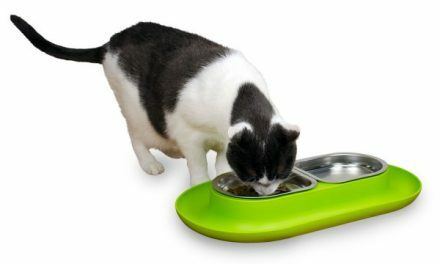 You will also find a number of good interactive toys at your local pet store or online that will keep your cat entertained without them having to run and jump too much. 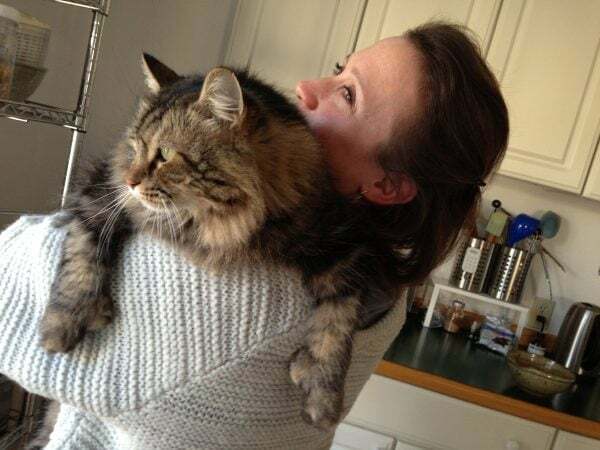 Getting up to different heights can be a real issue for older cats. 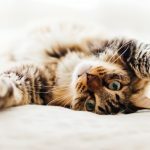 If your cat’s safe place has always been on top of a wardrobe, or on a shelf in a cupboard, then this may be more difficult if they become a little arthritic. Lowering the safe place to a ‘bush-dweller’ height is the best way forward in these instances. 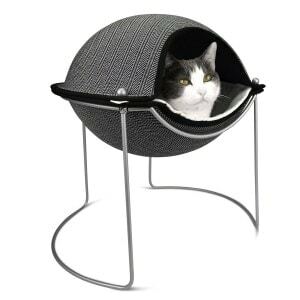 The Hepper Pod bed is the perfect height for older cats, and a great way to help them stay warm. If your cat loves it on your bed, but now finds it difficult to get up, then adding an extra piece of furniture next to the bed to help them up is always a good idea. If you have a lot of stairs in your home, then trying to keep all of your cat’s necessities on one floor is preferable. 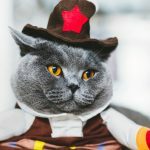 If your cat is in pain jumping up or getting up onto furniture, or going up the stairs, then following up with your vet to arrange appropriate pain relief is also prudent. As is the case with kittens, try to avoid high-sided litter trays for older cats because these trays can be difficult to get in and out of for those with arthritis. Keeping a high-sided litter box for an older cat is a common cause of inappropriate toileting around the house. Try and find a low sided tray that allows your older cat easier access, but still has enough depth to prevent litter flying all over the room! In the case of kittens and older cats, always look back to the map of your home to see where you can enrich their lives and make things easier and more accessible for them. 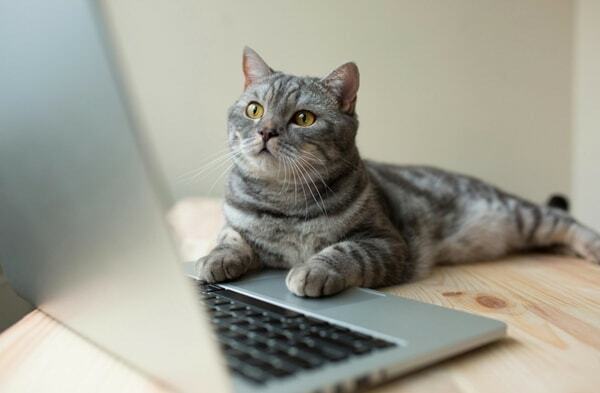 Considering the needs of kittens and older cats will put you one step closer to creating the ideal indoor space for your cat. This is chapter 9 of the 12 chapter series. Dr. Mark Edwards is a small animal veterinarian and veterinary consultant in New Zealand and the United Kingdom. 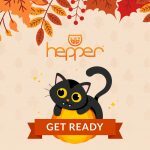 Dr. Edwards created the Happy Cats Guide for Hepper.